Well Measuring Line - Loos & Co., Inc. 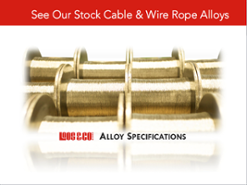 Referred to as well measuring line, wire line, or slickline, this product is a single end wire used for measuring well depths and for lowering measuring devices into a well. 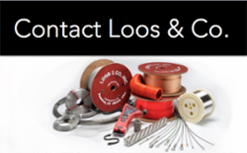 At Loos and Company, we produce weld free stainless steel and exotic high nickel/chrome alloy well measuring wire for use in a wide range of environments. 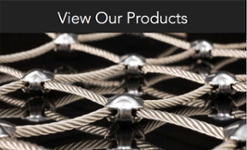 We produce the highest quality well measuring wire to protect against the chemical and physical abuse encountered in oil and gas wells.